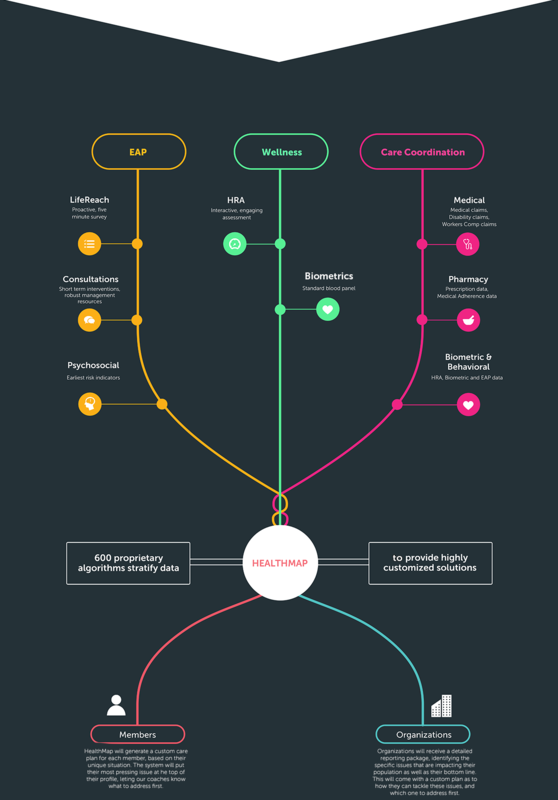 HealthMap is a revolutionary product that combines EAP, Wellness and Care Coordination data into a simple, customized profile for individuals as well as organizations. We run all the personal and physical data through over 600 algorithms, which prioritize and stratify the information, matching the right intervention using the right modality at the right time for each individual. We put our EAP at the core of HealthMap because its behavioral expertise allows us to not just identify what problems or issues individuals are dealing with but why they exist in the first place. We’ve taken the traditional “Check a Box” benefit and made it into a powerful catalyst for change by introducing some new features and breaking free of traditional approaches. People can’t utilize a benefit if they don’t know it exists, which has been the problem with the EAP industry. We don’t wait for employees to find us, we proactively let them know we’re here to help. One tool that we use to let employees know about the robust capabilities our EAP has is through our LifeReach survey, which takes five minutes to complete and lets us know about the most pertinent issues employees are dealing with. Problems don’t come in one-size-fits all, and neither does our clinical approach. Each of our Masters Level clinicians will stay on the phone with any employee for as long as they need to get the help they need. We know the best time to engage an individual is when they have the courage to make that first call. We don’t waste this opportunity. Our Member Website puts the resources and information employees need to handle their everyday needs right at their fingertips. Whether accessed on mobile phone or desktop, the site has resource locators based on geographic area, educational webinars, highly vetted, professional content, tip sheets and more. Challenges are the heart of any wellness program. Properly constructed, they drive participation, achieve company goals and create a culture of Wellbeing. We give you the flexibility to create a custom incentive program that fits your unique employee culture and achieves the results you desire. The challenge dashboard on the participant’s home page displays both available challenges and completed challenges. It can be configured to send out automatic reminders regarding important challenge dates, making employees and administrators lives easier. Employees will receive challenges based on their HRA and biometric screening results. But, they will also be able to choose from hundreds of other individual and group challenges. We will help you set up a highly customize incentive program to maximize engagement on the challenges that are most important. Our platform not only tracks activity within the site, but it tracks activities and events outside of it as well. Wearables are the fastest growing trend in wellness and can vitalize your wellness program. When combined with our platform’s ability to connect people, they become even more powerful. 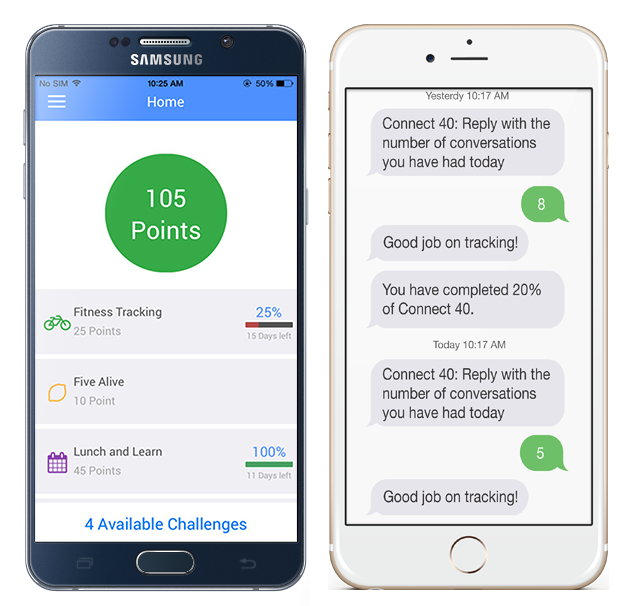 To provide even more options, we integrate with a variety of mobile fitness apps to make sure logging minutes, miles and meals is as seamless as possible for your employees. Our platform is mobile, just like your participants. After all, who works on their wellness while sitting in front of a computer? Participants can easily access everything they need from our mobile app including our SMS text reminders, making tracking and reminders a snap even for those that don’t have a smart phone. Our wellness component also comes with access to personal Health Coaches, who will review the custom profiles generated through our HRA for each member they are assigned. Each coach will proactively reach out to members based on the modality they prefer (email, text, call, etc. ), based on a prioritized risk profile for each individual. Our human approach to health coaching is holistic and behavioral based. Each coach is equipped with the resources and knowledge to provide support for things like financial/work-life needs to full chronic care management. 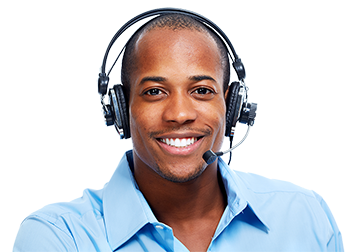 With five call centers around the country and a robust team of specialized coaches, our human approach to health coaching separates us from competitors only utilizing automatic replies and platform based approaches. Our human approach to health coaching is holistic and behavioral based. Each coach is equips with the resources and knowledge to provide support for things like financial/work-life needs to full chronic care management. With five call centers around the country and a robust team of specialized coaches, our human approach to health coaching separates us from competitors only utilizing automatic replies and platform based approaches. It’s nearly impossible for organizations to address rising healthcare costs unless they know what’s going on in their population. Given the sheer amount of data that an employee population produces, and the various benefits providers who house it, we decided to build a proprietary tool to import and synthesize all those feeds, analyze them and produce a customized plan for how organizations can begin cost containment strategies. We run all this information through over 600 algorithms to stratify the data and highlight which areas need to be addressed first to maximize company’s limited resources. This Data set includes HRA resutls, Health Coach information, Biometric screenings and any EAP/Work-Life data. For more than 20 years, WellConnect™ by Student Resource Services has worked hand-in-hand with colleges, universities, and career schools, providing multiple levels of ongoing support for students. In addition to providing support for students, staff and administrators, our time-tested program assists with student retention, mitigates legal and liability risk and frees up faculty members to focus on teaching.